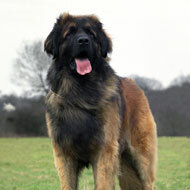 The new EBVs for the Leonberger will form part of the Kennel Club’s online Mate Select service. The Leonberger has become the latest dog breed to be provided with Estimated Breeding Values (EBVs), an online resource that helps individuals breed away from hip and elbow dysplasia. EBVs make use of Kennel Club data to link hip and elbow scores for an individual dog, with the available scores of all its relatives. Kennel Club says this provides more accurate measuring genetic risk than by using an individual’s hip scores or elbow grades alone. The new EBVs for the Leonberger form part of the Kennel Club’s online Mate Select service - a resource that helps people make informed breeding decisions based on data that estimates gentic risk. “Despite being a numerically small breed, the Leonberger demonstrated high scoring rates, which helped to make the EBVs viable for both traits,” explained Dr Tom Lewis, quantitive geneticist for the Kennel Club. “We hope that anyone breeding pedigree dogs will use Mate Select and that the veterinary community will also encourage breeders to use this resource." Welcoming the EBV scheme, Sharon Springer, chair of the Leonberger Club of Great Britain said: “As with hip dysplasia, elbow dysplasia is an incredibly difficult issue, with many factors involved in the development of a healthy elbow joint, from complex heritability, through to early nutrition, environment, exercise and the risk of early injury to the vulnerable joint. EBVs currently exist for 29 breeds including the Airedale Terrier, bearded collie and the Siberian Husky. The Leonberger is the seventh breed to have EBVs for both hip and elbow grades, along with Labrador retrievers, golden retrievers, German shepherds, Rottweilers, Bernese mountain dogs and Newfoundlands. Image (C) Diane Pearce Collection/The Kennel Club.